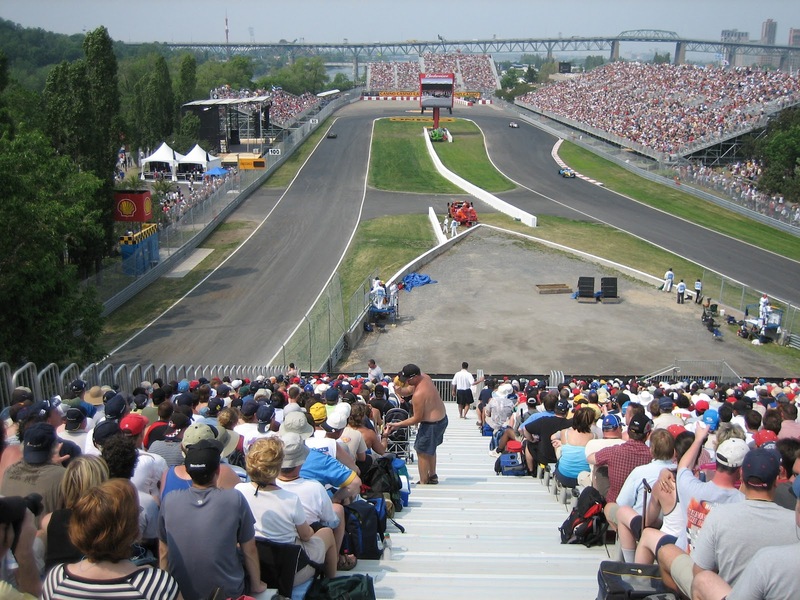 Try to find an F1 fan who doesn't like races at Montreal. Go on. I warn you though: it won't be the work of a moment. 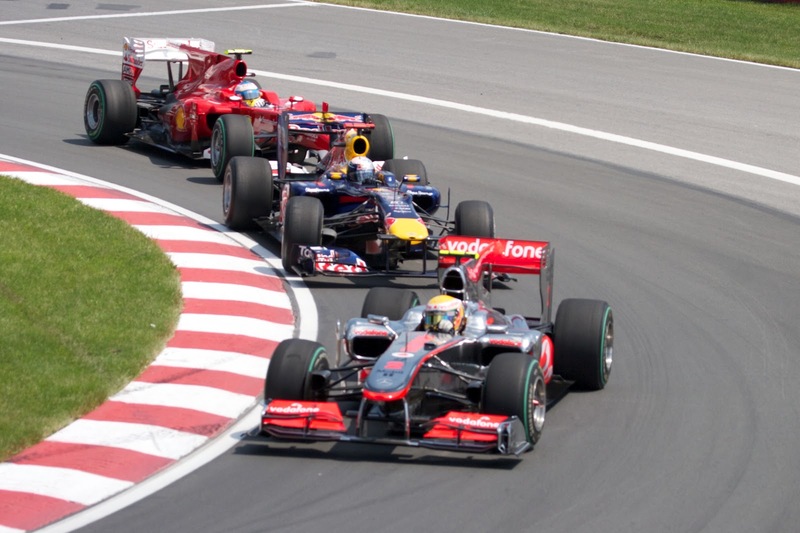 The Canadian Grand Prix at Montreal is anticipated almost like no other on the modern calendar. Why is this? Well a lot of it, in my view, lays in the fact that the Circuit Gilles Villeneuve is different. Sited as it is on a man-made island barely 150 yards across in the St Lawrence river, surrounded immediately by parkland and flower beds which is dusted with quirky, other-worldly architecture, all overhung by an exciting, vibrant, international city, yes dear reader when the F1 circus pitches up in Montreal it certainly could not be mistaken for being anywhere else. Such characteristics are increasingly welcome in an age of more and more off-the-shelf Tilke facilities on the calendar, but even when the circuit made its F1 bow back in 1978, and even by the standards of that age, the venue was notable for its charming nonconformity. 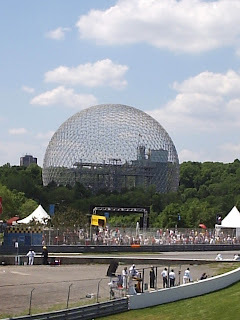 This was noted in that year's Autocourse annual: 'Even a cold and wet Autumn day could not drown the magical surroundings of Montreal's brand new race track, weaving around the futuristic buildings of the Expo 67 site in the man-made Ile de Notre-Dame...The track itself could be described as another Crystal Palace...the whole place had an out-of-context atmosphere as racing cars screamed through tree-lined corners and neatly trimmed flower gardens only minutes from the noise and bustle of a major city'. The Ile de Notre-Dame was constructed for the 1967 Expo 'World's Fair', upon which a myriad of weird and wonderful buildings was constructed to house the various exhibits. Many were still standing when F1 arrived for the 1978 season-closing round, ensuring a Disneyland backdrop (sadly much of the architecture has since been dismantled, though some examples, such as what is now the Montreal Casino and the Montreal Biosphere, still stand and thus ensure the circuit's backdrop remains unique). Many of the buildings can be seen in this rather wonderful range of photos from the 1978 race, as well as in the highlights footage below of the same event. As if to underline that the new venue has a charmed existence, this first event was won by home hero Gilles Villeneuve in his Ferrari, for what was his first ever F1 victory. You couldn't have scripted it better. Indeed, the Montreal Grand Prix has ever since maintained its reputation as an event where things happen. Some of this can be attributed to that, again unusually for a modern F1 venue, the walls are close to the track's perimeter and mistakes are invariably punished (seen most notably at the 'Walls of Champions' at the end of the lap, so-called as the races of Michael Schumacher, Damon Hill and Jacques Villeneuve all ended there in the same race in 1999). Further, the frequent resultant safety car periods mean that the pack is commonly close and sometimes in jumbled order. The preponderance of sharp braking and acceleration zones is hard on brakes and gearboxes, often meaning many don't survive to the finish. While the weather is usually excellent, adverse elements have occasionally added a variable. Moreover, the insertion of a long straight up to a big braking zone into the final chicane in 1996 has ensured that races since are never short of overtaking. Gilles Villeneuve continued to star at the venue in his sadly-short F1 career: in the 1979 visit he battled Alan Jones's probably superior Williams gamely for the lead throughout before coming a close second, while in the teeming rain in 1981 he somehow kept going at full pelt with his nose cone at an askew angle, seemingly blocking his view (see the footage below) - not that Gilles let such minor matters impede him in coming in third! After Gilles Villeneuve's early passing Montreal retained its knack of providing memorable races: in 1991 Nigel Mansell leading by a country mile let his revs drop too low after waving at the crowd in celebration on his final tour, causing his car astonishingly to roll to a halt and allowing his bitter rival Nelson Piquet, far back, through for his last ever victory. In 1995 there was not a dry eye in the house as Jean Alesi, a driver that possibly embodied the spirit of Gilles Villeneuve more than anyone else since, claimed his one and only Grand Prix win, and in a scarlet number 27 Ferrari to boot. Then there was last year's race won on the final lap by Jenson Button, a race that has genuine claim to be the most entertaining in the sport's history. And let's not forget that the current template of the degrading Pirelli tyres was provided by the diverting 2010 round here, a race in which, unusually, Bridgestone got its sums wrong and the gumball tyres ensured probably the best race of that season. It's by no means an exaggeration to say that one cannot imagine a dull race taking place at Montreal. Add in to all of this that the crowd is usually large in number, knowledgeable and passionate, and you have close to the perfect mix. So what about this weekend? Well it could be engrossing even by Montreal standards. Close to half of the grid's members are looking like they have a good claim to be a contender at the sharp end - lap times will be close and even the most minor of fumbles will likely be punished. In recent times, the team to watch around Montreal is McLaren; that team has won in three of the last four visits here. Further, Lewis Hamilton's skills are made for the low grip surface and the acrobatic, aggressive approach required, and indeed Lewis topped both practice Friday sessions comfortably. Things continued to be less good for his team mate though. Jenson Button had to sit out most of the second session with gearbox problems and on a weekend when he self-admittedly needs a bounce back it could not have been worse timing. The Ferraris appear to be continuing their red revival, armed with new exhausts and both pilots looking on form. Fernando Alonso and Felipe Massa got near to Lewis' best mark in the second Friday practice session, and a good weekend will be particularly encouraging for the Scuderia given that at the season's outset traction and top speed, two things you need at Montreal, seemed its worst problems. Red Bull looks to be there or thereabouts as always, and Force India (who've been quick in a straight line for as long as I can remember), Sauber and Williams are also looking like they could be interlopers. Then there is Mercedes. Its double DRS system is likely to be put to good use down Montreal's long straights, ensuring high grid slots. As usual, whether it can keep its tyres together will be the pivotal question, and race day may be warm, the softs and supersofts are the available compounds, and some are talking about trying to stop for tyres only once on Sunday. On the other hand, tyre wear is lower than expected on today's evidence and Nico Rosberg claims the Merc squad is beginning to get on top of such issues. And if you're a fan of omens, this weekend we could have the seventh different winner from seven races this season, and the driver of car number seven is a seven times world champion and has won seven times at Montreal. And given his performance in Monaco qualifying would you bet much against Schumi ending his near six-year win drought this weekend? beautiful well worded of cicuit gilles villeneuve beautiful photo's as well and nice video's as well.